I love color. Bright, vivid color. 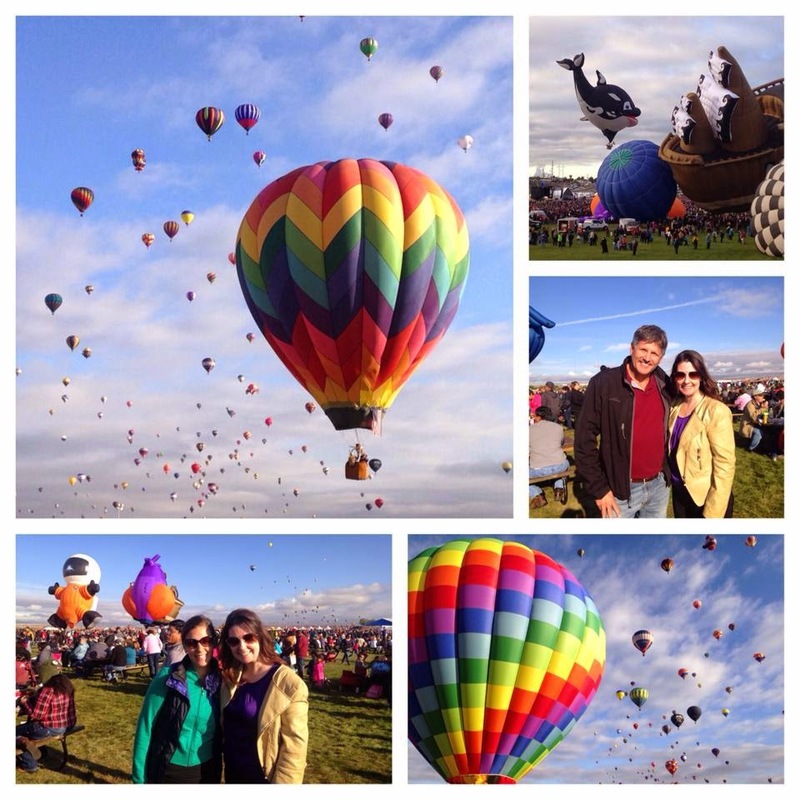 In line with this fact, the annual Hot Air Balloon Fiesta in Albuquerque, New Mexico served as the perfect backdrop for our family vacation in October 2014. We joined my parents, uncle, sisters and brother-in-law in Denver, Colorado to kick-off the festivities. 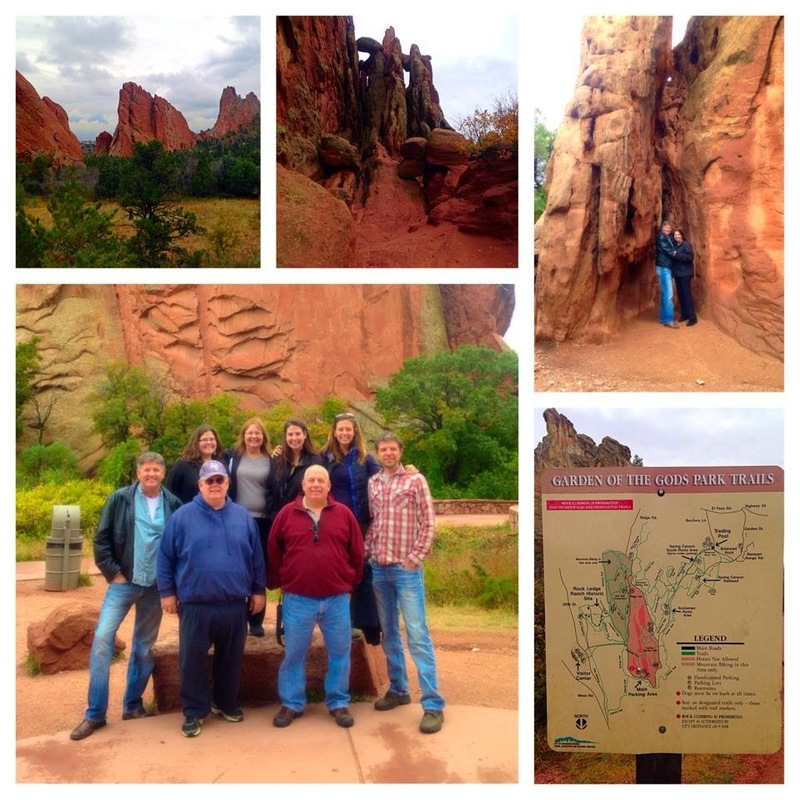 We drove south, stopping at Garden of the Gods Park, before crossing over the New Mexico border. We spent the next several days based in Indian resort and casino while we explored the rocky desert terrain. 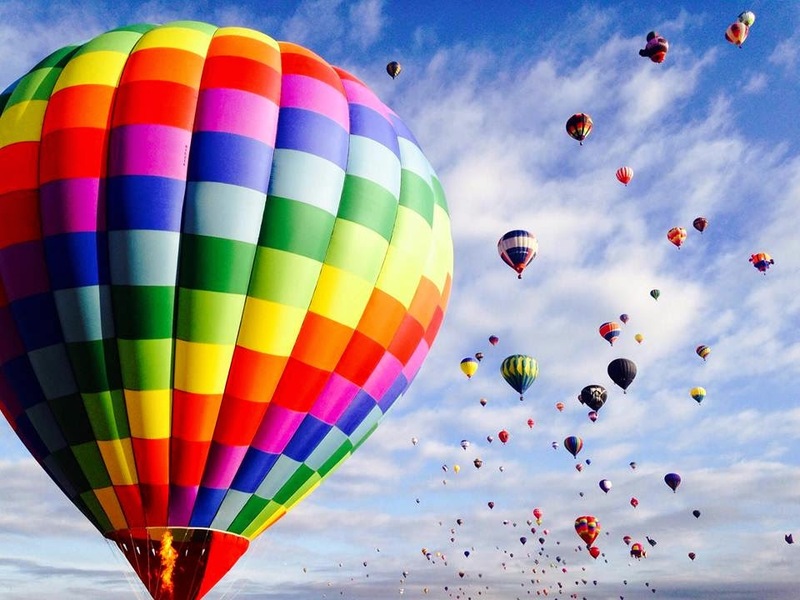 Apart from the day spent walking through the shops and churches of Santa Fe, the Albuquerque Hot Air Balloon Festival was by far the highlight. We all woke before dawn and piled into the car for the drive. The traffic mounted long before we could see the city lights. Thanks to one of James' shifty maneuvers, we found ourselves ahead of the crowd and entering the park grounds just before day break as the first few balloons were rising. For the next several hours, we watched as one colorful balloon after another inflated and took off into the sky. There were all shapes and sizes: cartoon characters, boats, whales, chariots, butterflies ... and even Cinderella. Both the land and the sky were flooded with color. It was one of those experiences where photographs just couldn't do justice but we all kept clicking away with every sight being more captivating than the last.